Does Validus Holdings, Ltd. (VR) Represent a Good Investment? The Insider Monkey team has completed processing the quarterly 13F filings for the September quarter submitted by the hedge funds and other money managers included in our extensive database. Most hedge funds have been producing disappointing net returns in recent years, however that was partly due to the poor performance of small-cap stocks in general. Well, small-cap stocks finally turned the corner and have been beating the large-cap stocks by more than 10 percentage points over the last five months.This means the relevancy of hedge funds’ public filings became inarguable, as they may reveal numerous high-potential stocks. The following article will discuss the smart money sentiment towards Validus Holdings, Ltd. (NYSE:VR) . Is Validus Holdings, Ltd. (NYSE:VR) a buy, sell, or hold? The best stock pickers seem to be taking a bearish view, judging by the fact that the number of long hedge fund investments declined by two last quarter. In this way, 19 funds tracked by Insider Monkey held shares of Validus at the end of September. At the end of this article we will also compare VR to other stocks including Bright Horizons Family Solutions Inc (NYSE:BFAM), DCP Midstream Partners, LP (NYSE:DPM), and Pool Corporation (NASDAQ:POOL) to get a better sense of its popularity. Now, let’s go over the latest action surrounding Validus Holdings, Ltd. (NYSE:VR). How have hedgies been trading Validus Holdings, Ltd. (NYSE:VR)? Heading into the fourth quarter of 2016, a total of 17 of the hedge funds tracked by Insider Monkey were long Validus Holdings, Ltd. (NYSE:VR), a change of down by 11% from the previous quarter. 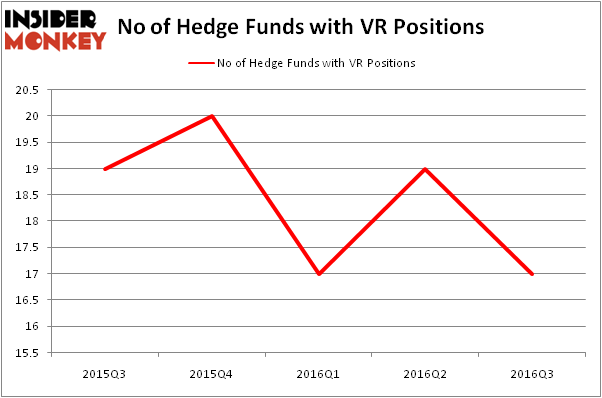 On the other hand, there were a total of 20 hedge funds with a bullish position in VR at the beginning of this year. With hedgies’ positions undergoing their usual ebb and flow, there exists an “upper tier” of notable hedge fund managers who were increasing their holdings considerably (or already accumulated large positions). When looking at the institutional investors followed by Insider Monkey, Polar Capital, led by Brian Ashford-Russell and Tim Woolley, holds the largest position in Validus Holdings, Ltd. (NYSE:VR). Polar Capital has a $74.1 million position in the stock, comprising 1.3% of its 13F portfolio. Coming in second is Cliff Asness’ AQR Capital Management, which holds a $65.8 million position; 0.1% of its 13F portfolio is allocated to the stock. Some other hedge funds and institutional investors that hold long positions comprise Richard S. Pzena’s Pzena Investment Management, Jim Simons’ Renaissance Technologies and John D. Gillespie’s Prospector Partners. We should note that none of these hedge funds are among our list of the 100 best performing hedge funds which is based on the performance of their 13F long positions in non-microcap stocks. 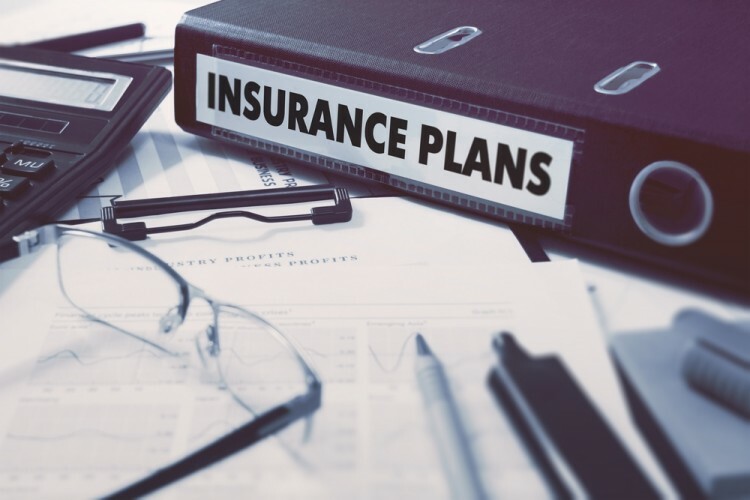 Hedge Fund Interest in Companhia de Saneamento Basico (ADR) (SBS) Flatlines Should You Follow the Smart Money Into Ritchie Bros. Auctioneers (USA) (RBA... Hedge Funds Are Pouring Into Sodastream International Ltd (SODA) Boston Beer Company Inc (SAM): Hedge Funds Finally See Something to Like Again... Hedge Funds Are Growing More Bullish on Regional Management Corp (RM) Is Rexnord Corp (RXN) A Good Stock To Buy?